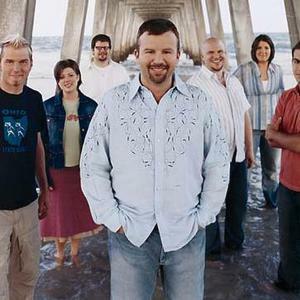 Casting Crowns is a Christian band that employs a soft rock music style. The band was created by youth pastor Mark Hall who also serves as a lead vocalist. The band previously served and performed in a youth group in Atlanta. Discovered by, among others, contemporary Christian music legend Steven Curtis Chapman, Casting Crowns got a recording contract and vaulted to popularity in 2003 with songs such as If We Are The Body and Who Am I. Discovered by, among others, contemporary Christian music legend Steven Curtis Chapman, Casting Crowns got a recording contract and vaulted to popularity in 2003 with songs such as If We Are The Body and Who Am I. The Until The Whole World Hears Songfacts reports that Casting Crown's 2009 Until The Whole World Hears album recorded 167,000 sales in its first week, the largest selling debut week sales figures by a Christian artist in Nielsen Soundscan history. Casting Crown's fifth album, The Well, was released on October 18, 2011. According to The Well Songfacts, as with previous records, it draws inspiration from the band's ministry efforts at its home church, Eagles Landing Baptist Church outside of Atlanta, where Mark Hall serves as youth pastor. Before Casting Crowns was created they were known as New Life Rookies which split into two bands, one being Casting Crowns and the other a smaller band South Avenue.